As brand new parents still in the hospital, it was practically magic to watch the efficient and skilled nurses swaddle our baby up perfectly every time (and I’m pretty sure it only took them .03 seconds). It calmed her and helped her sleep, a.k.a., MIRACLE OF MIRACLES. 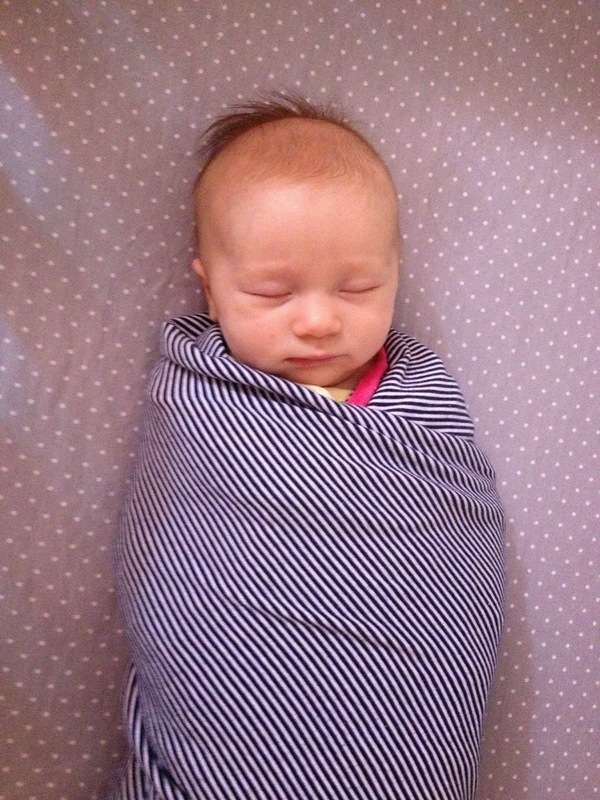 So for my own sanity’s sake, I learned how to swaddle my baby girl effectively from the get go. My husband Brandon was never a great swaddler though, so we transitioned to fool-proof swaddle blankets that zipped or Velcroed fairly soon after coming home from the hospital. And let’s be honest – anything that provides somewhat of a shortcut is always given an enthused thumbs-up by this tired mom. Fast forward 14 months later, and we are still using a sleep sack every night! Recently, we switched from a fleece sleep bag to the Love to Dream Inventa Sleep Bag for the warmer months. It took us a couple of nights to get the hang of putting it on quickly, but once you learn how it works it’s really easy to use. (It snaps over one shoulder and then zips around the bottom and up the side.) The material is breathable, soft, and has a slight stretch which makes it extra comfortable. 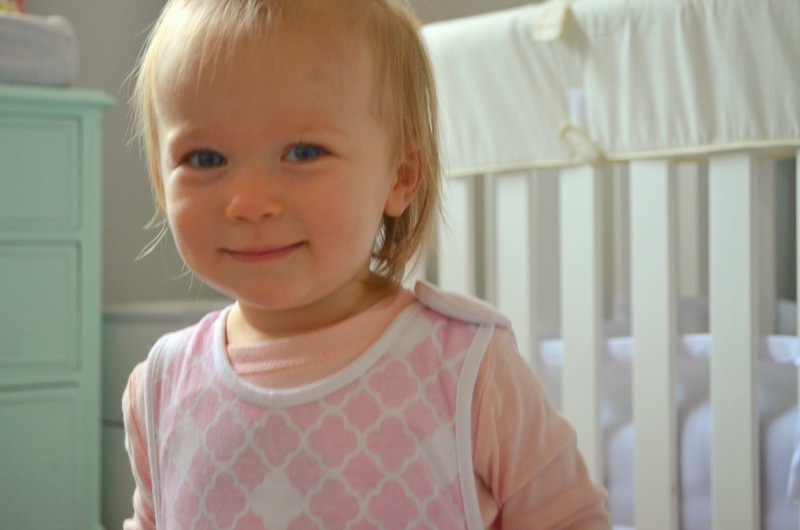 Plus – how adorable is this pattern? Some type of wearable blanket is a staple in our house primarily because it’s a safe way to keep Aven warm, without the risks of loose bedding. 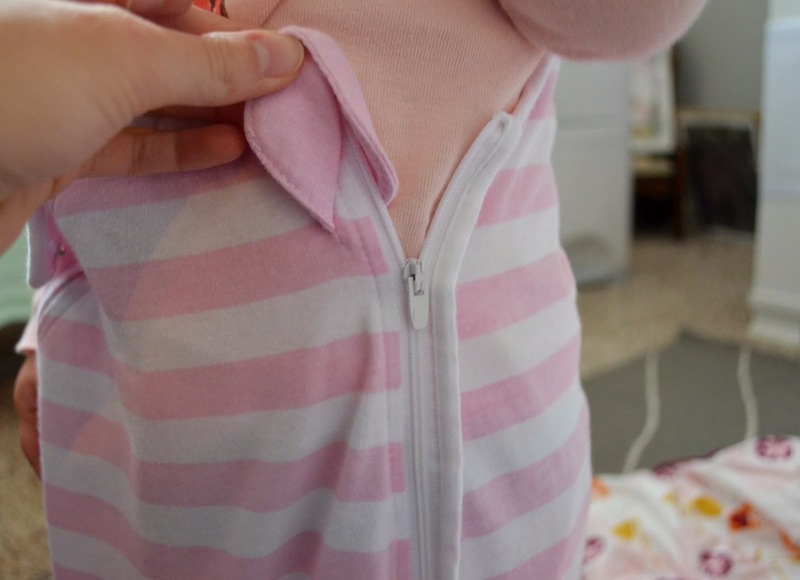 And unlike regular blankets that get tangled or fall off, it stays on even when she moves and squirms all over the crib during the night. It even has enclosures that a stroller buckle fits through, so you don’t have to remove the Sleep Bag first. Perfect for naptime stroller rides. 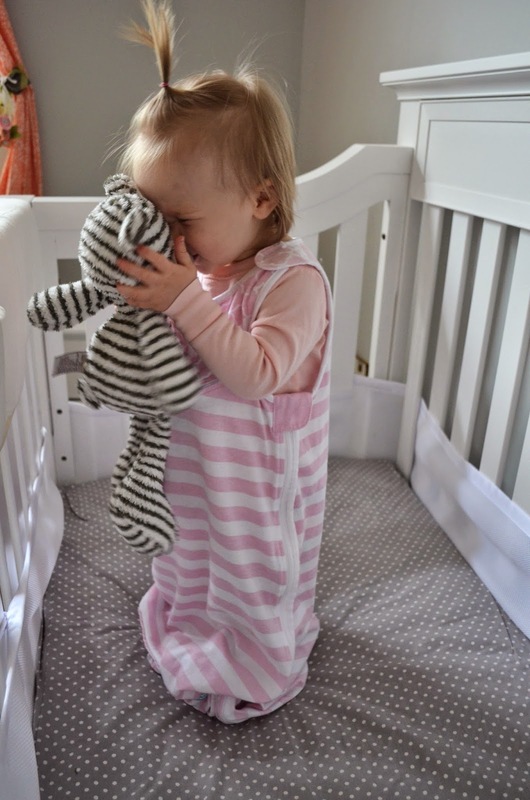 If your baby is too small for this sleep bag Aven wears, there are other versions for various stages. 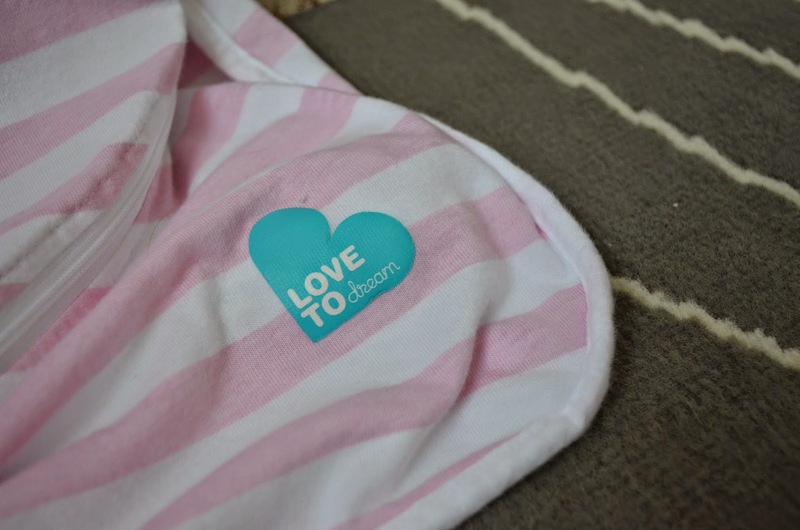 You can read a review on the Love to Dream SwaddleUP for infants over on the Savvy Sassy Moms website, as well as enter a giveaway for a set of Love to Dream Sleep Bags! Disclaimer: I received this product for review as part of the Savvy Sassy Moms Product Scouts program. All opinions are my own. Isn't it amazing how fast and how tight they were able to swaddle at the hospital? I was always so impressed! Yes! They are such pros!! Beautiful – wish I had this when mine were little!